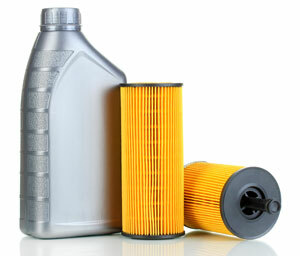 One of the most inexpensive and essential maintenance services you can have performed on your vehicle is an oil change. Getting your oil changed at regular intervals can extend the life of your vehicle. Timely oil changes will greatly reduce the chances of having engine trouble in the future. Ron’s Auto and RV have experts on staff to make sure the residents of Vancouver, Washington and surrounding communities receive the best possible care. Is getting my oil changed really that important? Yes. Without oil, your vehicle won’t run. If you have old oil, full of gunk and sludge it can cause severe damage to your engine and lead to costly repairs. Getting your oil changed on a regular basis will save you money in the long run – and save your vehicle’s engine! Oil provides lubrication which prevents friction in the engine. Without this lubrication, parts will rub together causing damage to your vehicle’s internal parts. Another important role of oil is to keep the area around your engine cool. Your engine works hard, and without this essential component, your engine could easily overheat. Ron’s Auto and RV can help you decide which oil is best for your engine. That all depends on the make and model of your vehicle and the type of oil it requires. 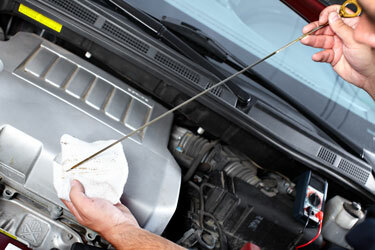 The average recommendation is to have your oil changed every 3000-5000 miles or every three months. A couple factors that may change this average are how you drive and what kind of oil you use. If you are someone who drives in stop and go traffic often you might want to consider an oil change sooner rather than later, due to extra strain on your engine. If you’re using a high-quality synthetic oil or don’t drive your car on a regular basis you might be able to push the service back a bit. Here at Ron’s Auto and RV of Vancouver our experts can discuss the specifics of your car and what the best schedule for your personal maintenance is.